A bit overdue this, but I bought a new guitar recently. 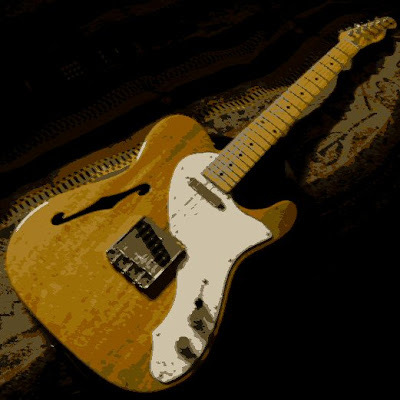 It's a Fender Telecaster Thinline '69 in natural mahogany finish. I bought it using the 'Take It Away' scheme run by the arts council. It's a beautiful guitar to play and will feature soon in some of my new recordings. I'll also be playing it live at my forthcoming work Xmas concert with the 'Natural Born Santas'.